There are many different causes for roof leaks. These may vary depending on what type of weather you experience and the way your roof is designed. In areas where there’s a lot of snow, like the ones we serve, ice dams can be a problem. Saskatoon, SK roofing companies are able to identify and make these types of roof repair. 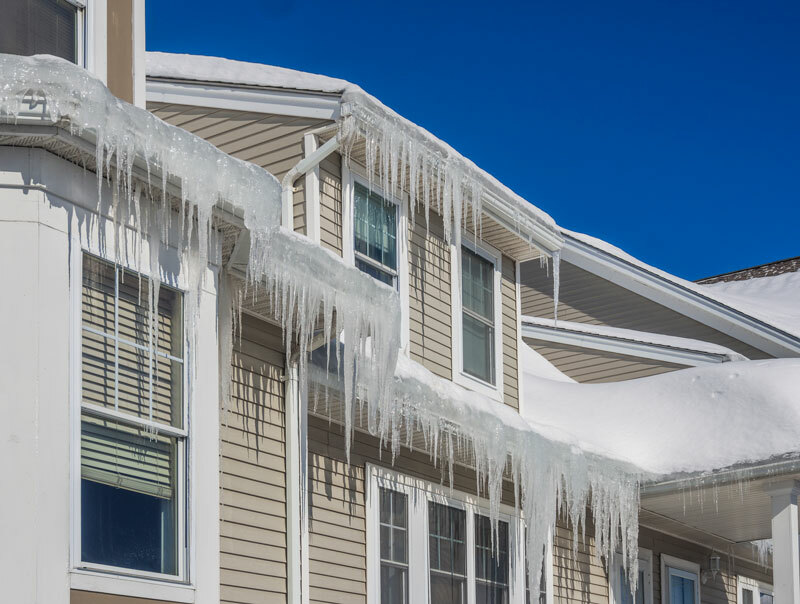 Here are some things you should know about ice dams so you can take action to avoid roof leaks. Ice dams form at the edge of a roof. As snow melts and water runs down the incline of the roof, it’s stopped by this ridge. The water isn’t able to drain off. This means there’s standing water on the roof, which isn’t good, as well as added weight from the ice. Regardless of how well your home is insulated, some heat will always make its way out to the roof since the interior air is above freezing. When this happens, small amounts of snow will begin to melt. The water runs down the roof to the edge, where it refreezes due to the colder temperatures. This forms the ridge known as an ice dam. What Can You Do to Keep This From Happening? There are several things you can do to keep this from potentially causing a roof leak. If you see an ice dam on your roof, use an ice melt product to remove it. You can also use a roof rake to remove snow from your roof. As experts in roof repair in Saskatoon, we recommend taking off the several feet of snow that are closest to the edge of the roof. Of course, as with any type of roof maintenance, you should always take appropriate safety precautions. In the end, if you have a roof leak, it really doesn’t matter how it started. You need to get it fixed as quickly as possible. Cactus Roofing is here to serve you with prompt, dependable roof repair and replacement services. Contact our roofing contractors today for a free estimate in the Saskatoon, SK area.